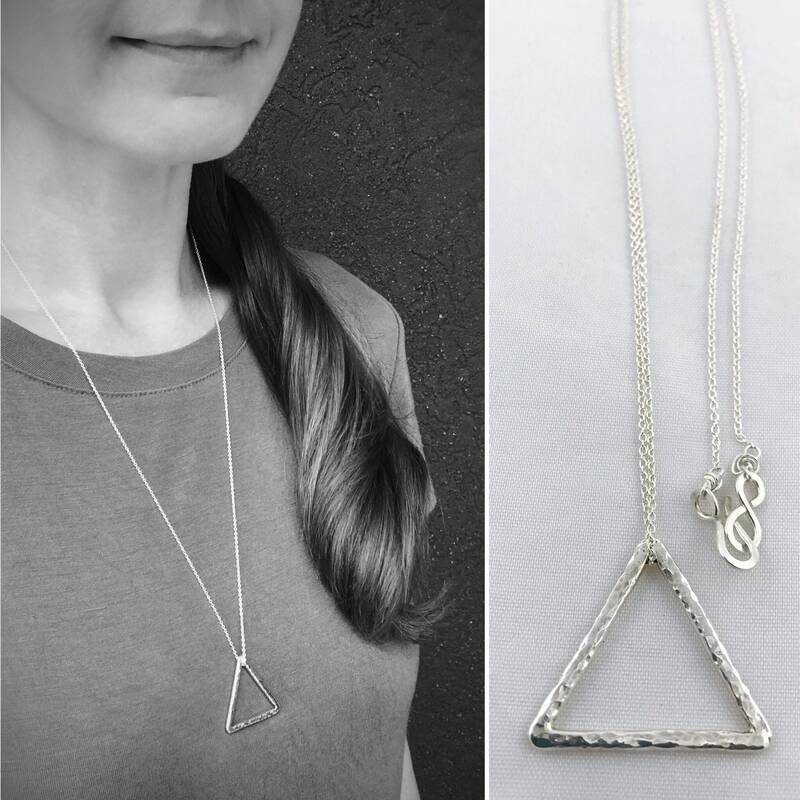 I start with solid 12 gauge sterling silver which gets hammer formed and shaped completely by hand into a beautiful and unique triangle with it's own rustic texture, no two are ever the same. 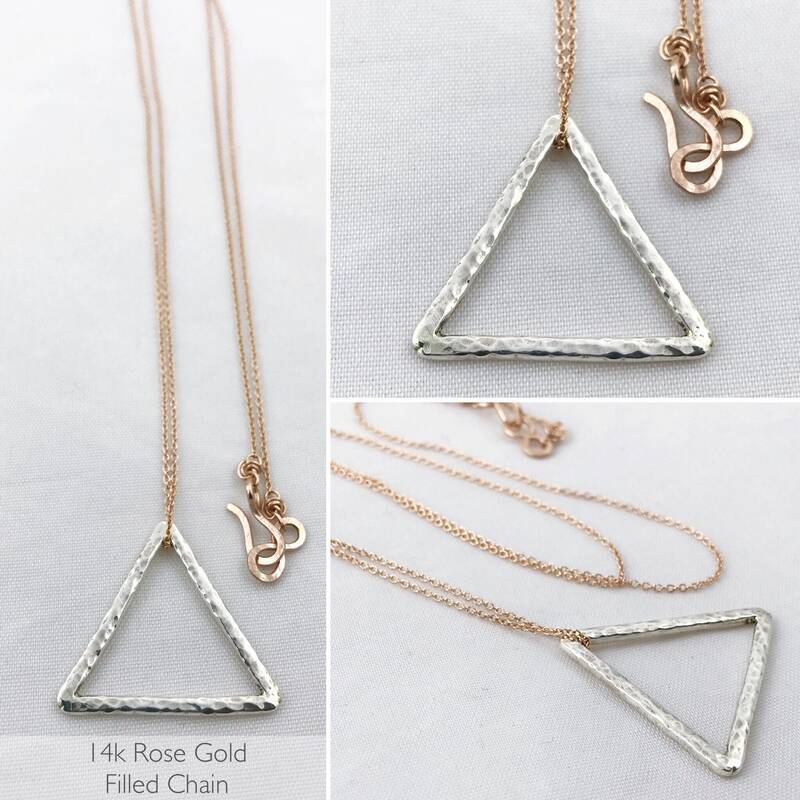 After the hammer forming, it gets meticulously refined, filed and polished by hand, to ensure that it is beautiful and long lasting. 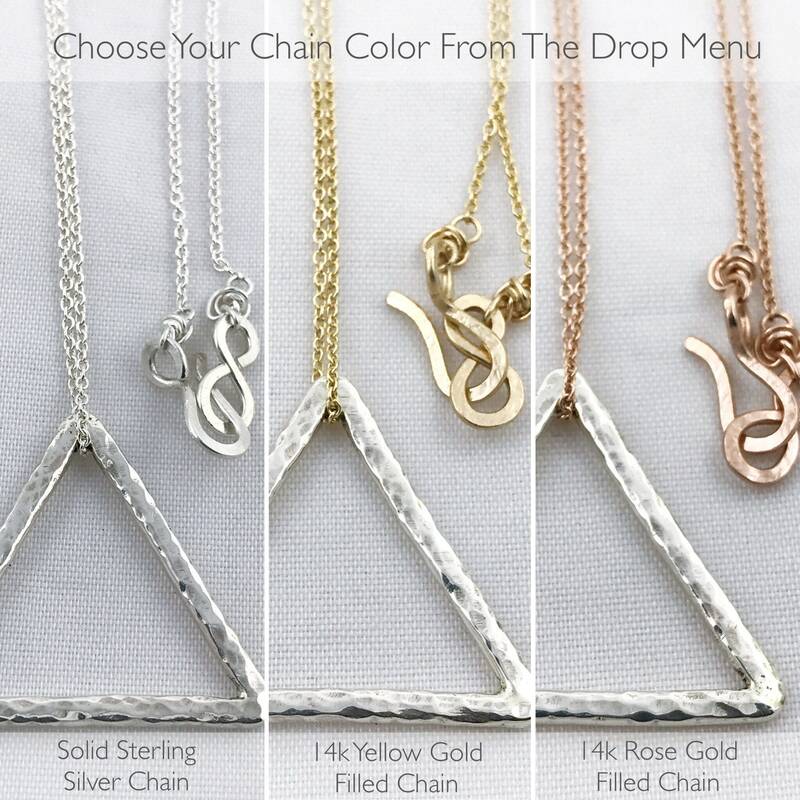 Finally it is placed free floating on your choice of chain to complete the design. 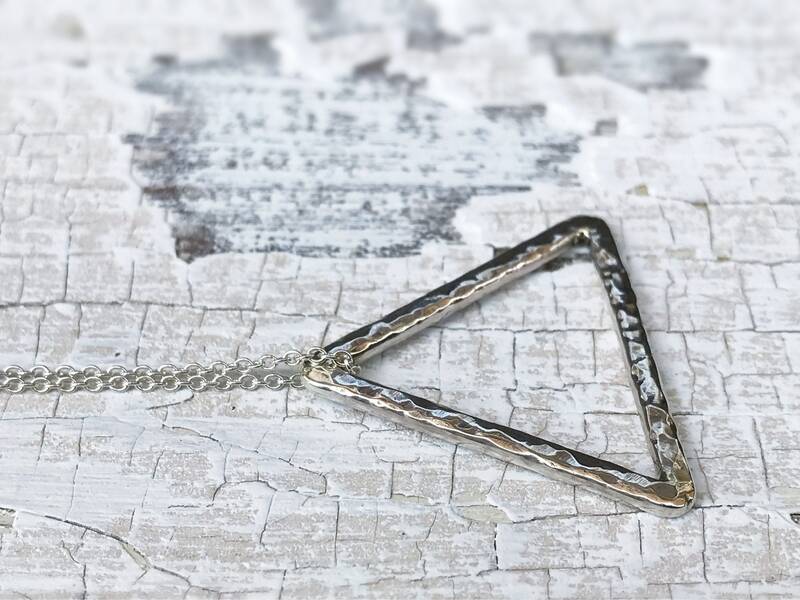 -Triangle is free floating on a 1.1mm width cable chain. 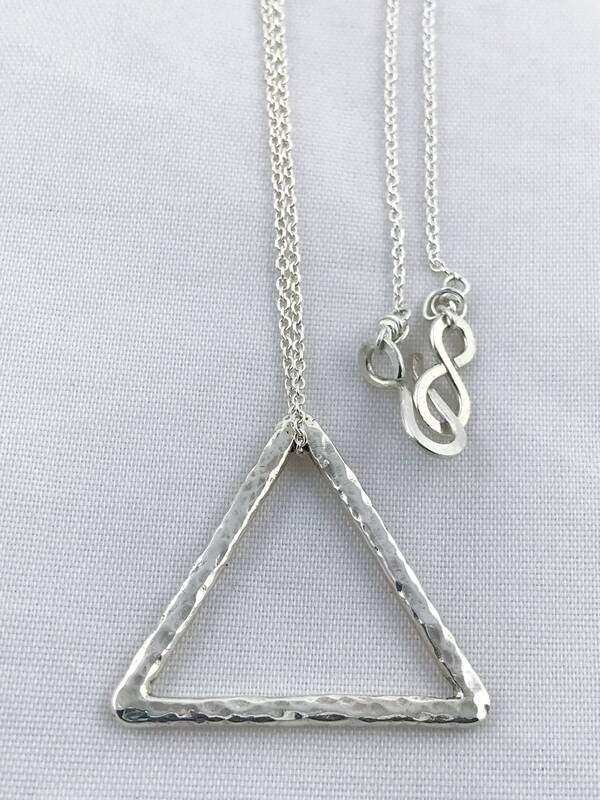 It looks delicate but is quite strong. 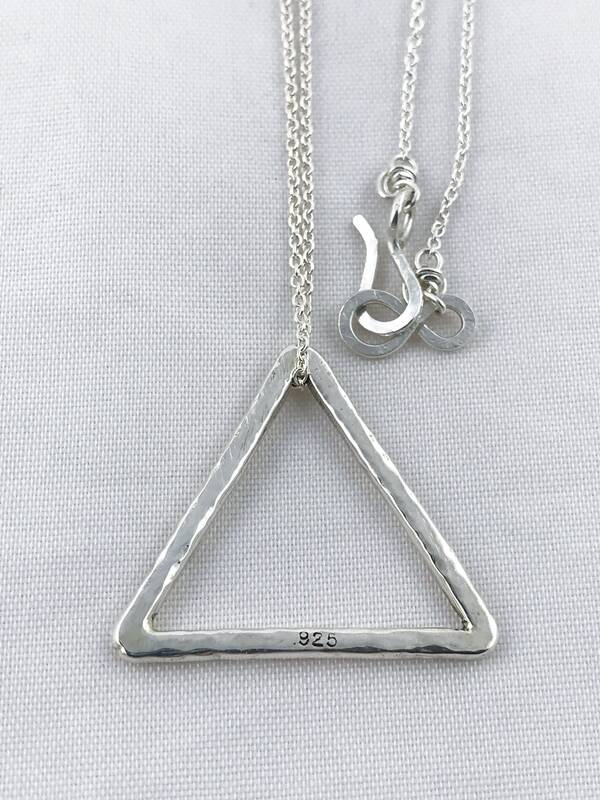 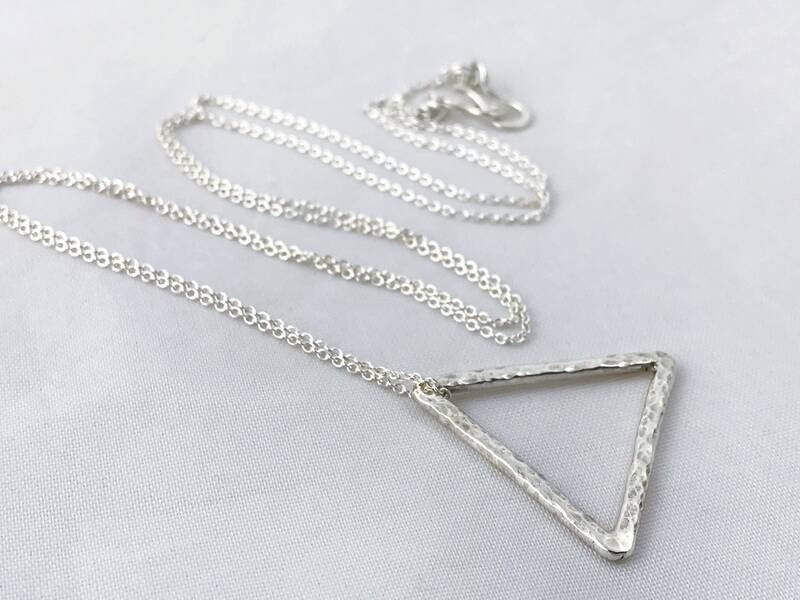 -PLEASE NOTE- Triangle pendant will be solid sterling silver and choice of color is only for the chain. 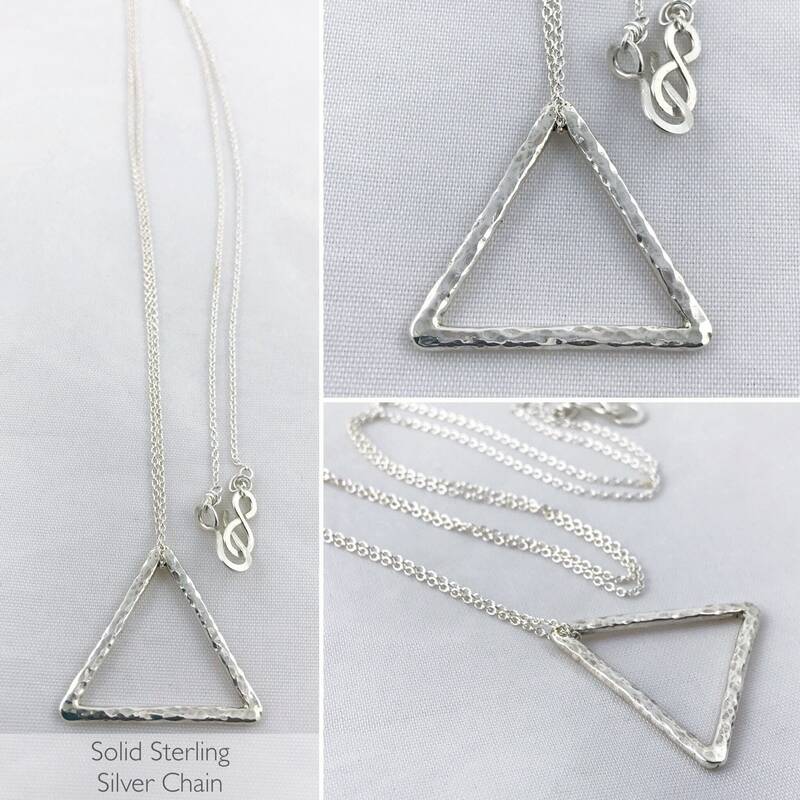 If you choose silver chain, the entire piece will be created in solid sterling silver. 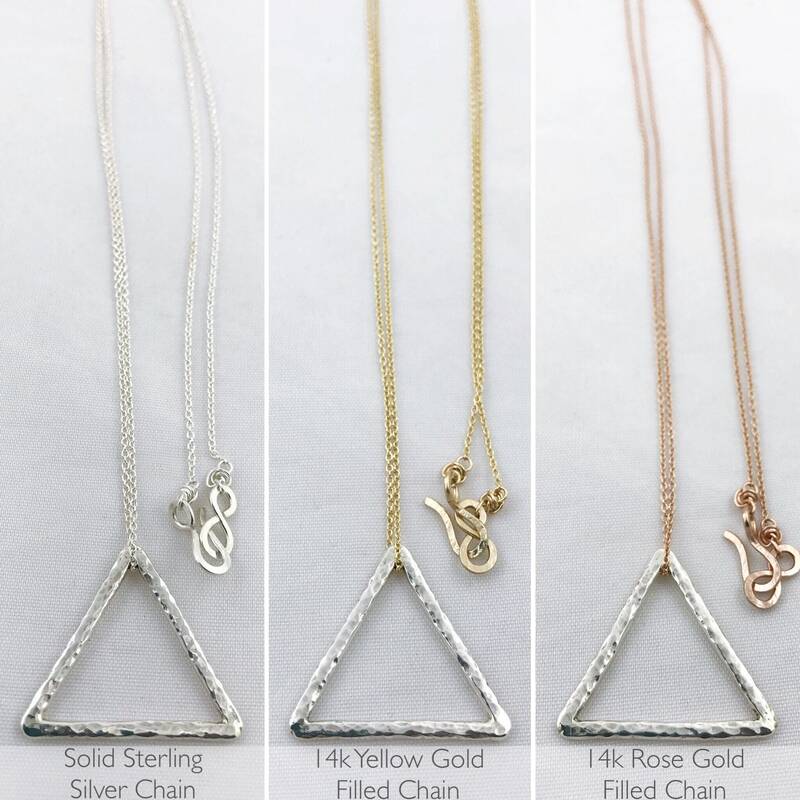 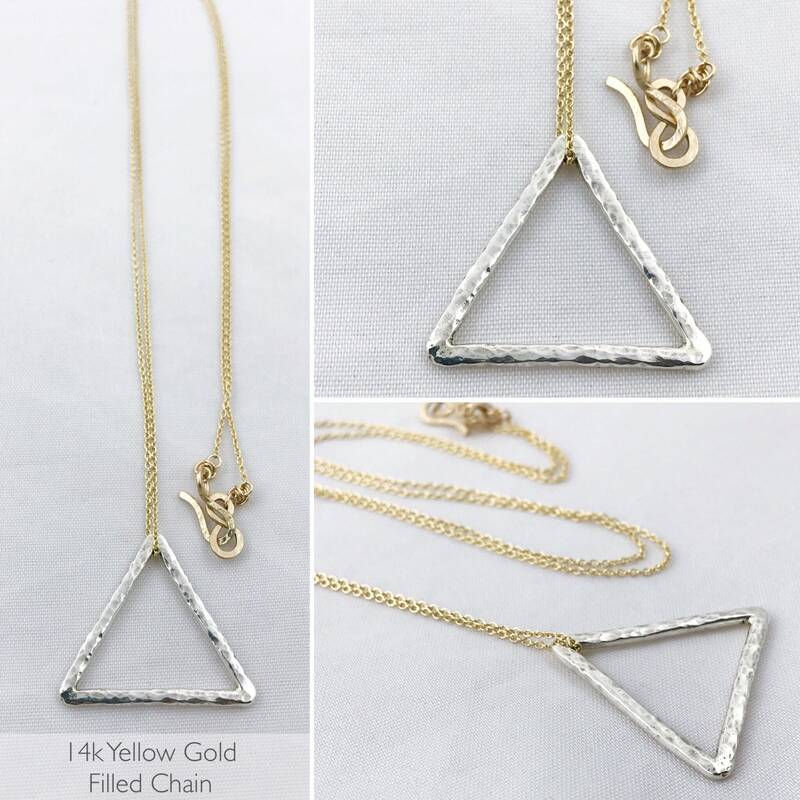 If you choose one of the gold filled options, triangle pendant will be solid sterling silver on either 14k yellow gold filled or 14k rose gold filled chain.